Although cleaning isn’t the most fun activity out there, it’s essential in terms of a tidy, fresh and healthy home. Personally, I can’t stand the overpowering scent of conventional cleaners — maybe that’s because I know that there’s a dark side to these products that are masked by synthetic scents and perfumes. Packed with toxins, household cleaners expose you to some nasty chemicals that can wreak havoc on your health. 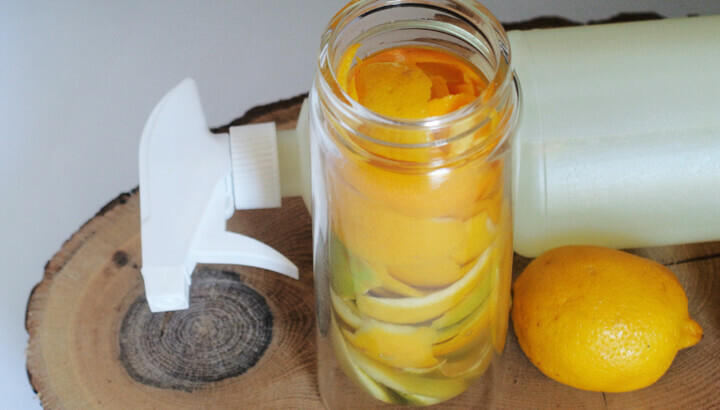 Luckily, this all-purpose cleaner recipe is infused with citrus fruits so you can happily spritz and spray away the afternoon. There’s a general disconnect with what we’re purchasing on a daily basis. Of course, in a perfect world, these types of products we’re concerned about wouldn’t be sold in the first place. Perhaps that’s why so many people are unaware — it’s hard to believe companies are able to sell products with known carcinogens, endocrine disruptors and even ammonia. We don’t often notice, but if you take a good look in the cleaning aisle, you’ll see an array of hazard symbols warning consumers about toxins, as well as flammable and corrosive materials. When you think about it, you’re applying these hazardous materials on surfaces throughout your house and more importantly, spraying them into the air. Within one study, published in Environmental Health Perspectives, 25 common consumer goods were examined, including all-purpose cleaners, disinfectants, air fresheners and soaps. Researchers detected 133 different volatile organic compounds, including some that have been classified as toxic. In fact, each product emitted between one and eight toxic chemicals that have been classified as hazardous under U.S. federal laws. Shockingly, even products that were advertised as organic, natural and green emitted just as many hazardous chemicals in comparison to conventional ones. Ammonia — Known to induce poor breathing, especially among those with asthma. Ammonia can also cause damage to both your liver and kidneys. Cleaning products increase your level of exposure and when mixed with chlorine bleach, chloramine gas is formed, which is highly poisonous. Ethanolamines — This group of toxins, including DEA, TEA and MEA, have been known to produce cancer in the liver and induce kidney tumors in rats. Since they bioaccumulate, they can build up in your organs, leading to toxicity and even possible neurotoxic effects. Nonylphenol ethoxylates (NPEs) — Degrading into NPs, this class of toxins has been shown to mimic estrogen, stimulating the growth of breast cancer cells. They also cause adverse reproductive effects among fish and other aquatic organisms. I always have a few key ingredients on-hand for a good Sunday scrub — baking soda, lemons, coarse salt and vinegar. For an all-purpose cleaner, I absolutely adore this recipe and, more importantly, it works. As you clean, you don’t feel like you’re suffocating — your room will be filled with a fresh, light scent that is both effective and beneficial. 1. 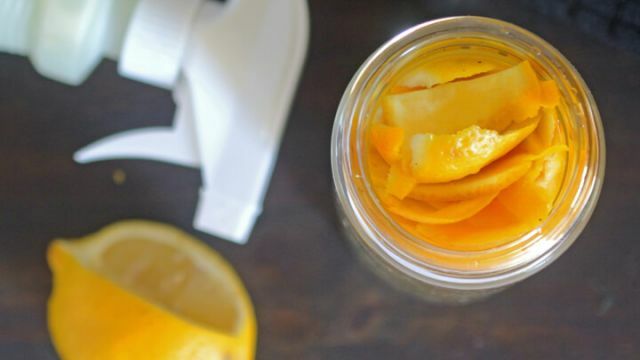 You can either collect and freeze the peels as you use citrus fruits, or peel a large batch to make a couple of homemade recipes, such as juice and vinaigrette. 2. Place the peels in an airtight glass bottle, pour in vinegar until the peels are submerged, then leave for two weeks in a cool, dark space. 3. 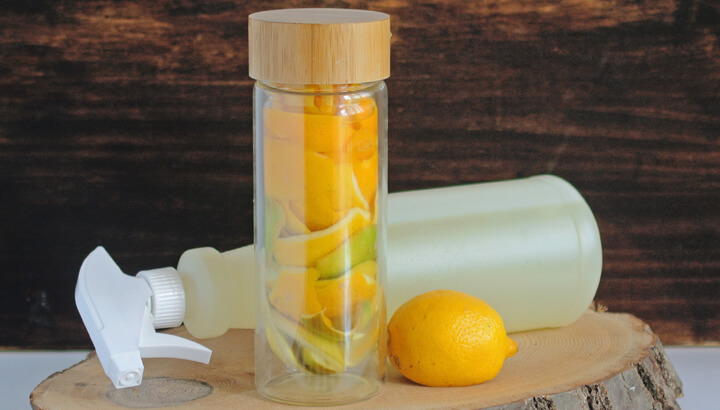 Once the citrus oils have infused, you can strain into a spray bottle and you’re ready to clean! Hey Buddy!, I found this information for you: "Maintain A Chemical-Free House With This All-Purpose Cleaner". Here is the website link: https://www.thealternativedaily.com/maintain-chemical-free-house-with-this-all-purpose-cleaner/. Thank you.